Facial hairs, I think are the most unwanted thing by females in this whole world. These hairs not only damages the appearance but also leaves fine lines and wrinkles on your face. Facial hairs can be fine, medium or coarse, depending on your genetics. These hairs look more pathetic on dark skin tone. Some people have a misconception that blonde hairs are thin as compare to darker one. Blonde hairs are equally thick. Facial hair removal has always been dubious. Few decades past, women didn't use to remove their facial hairs due to many reasons. Firstly, there was no concept of removing facial hairs. Secondly, if anyone wanted to remove these hairs, there was no appropriate method for this. But with time various methods were found. Few methods resulted in coarse hairs and others with damages skin. 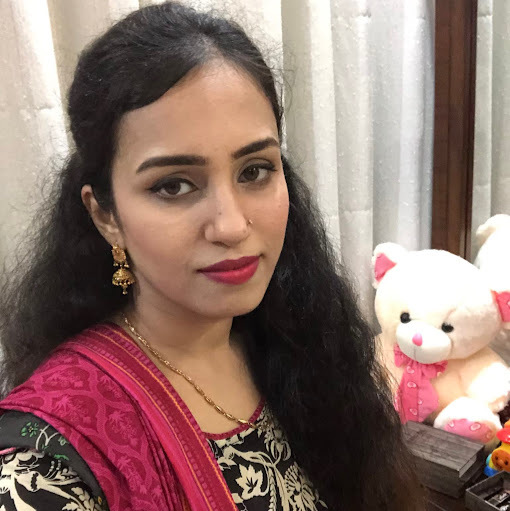 Threading, hot waxing, laser treatment and oxygen therapy are the present ones. Many women have their facial hairs threaded or waxed every month, this not only cause redness and pimples but is very painful as well. Other methods are also time consuming as you can't go to a salon when you are out of time. Olay has always come up with a right product for its consumers. 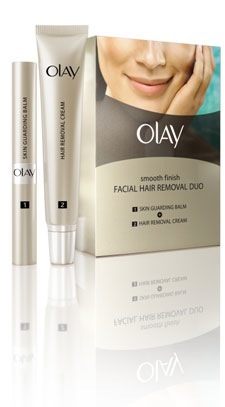 For this problem, Olay has launched a perfect solution named, "Smooth facial Hair Removal Duo". It has overcome the problem of rough and dry skin. This package consists of a moisturizing balm and a hair removing balm. Few easy steps are shared below which must be performed to have the desired results. 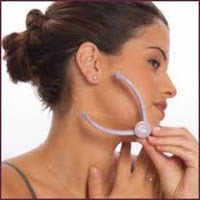 First you need to clean your face with fresh water as any bacteria or dirt on your skin can cause damage to your skin. Apply a handsome quantity of balm on the portion you need to clean and leave if for few minutes or as recommended on the tube according to your skin type. This moisturizing balm removes roughness and dryness due to lack of exfoliation. Apply the hair removing cream on the portion where balm was applied and then leave it for few minutes. Test a small portion if the hairs are removed wash your skin with fresh water. After washing your face you will feel that your skin is neat and clean, perfectly moisturized without any redness which means that you are ready to go out any enjoy your evening or gathering.